Brown Bear® 7.62x39mm 123 Grain HP Ammo. 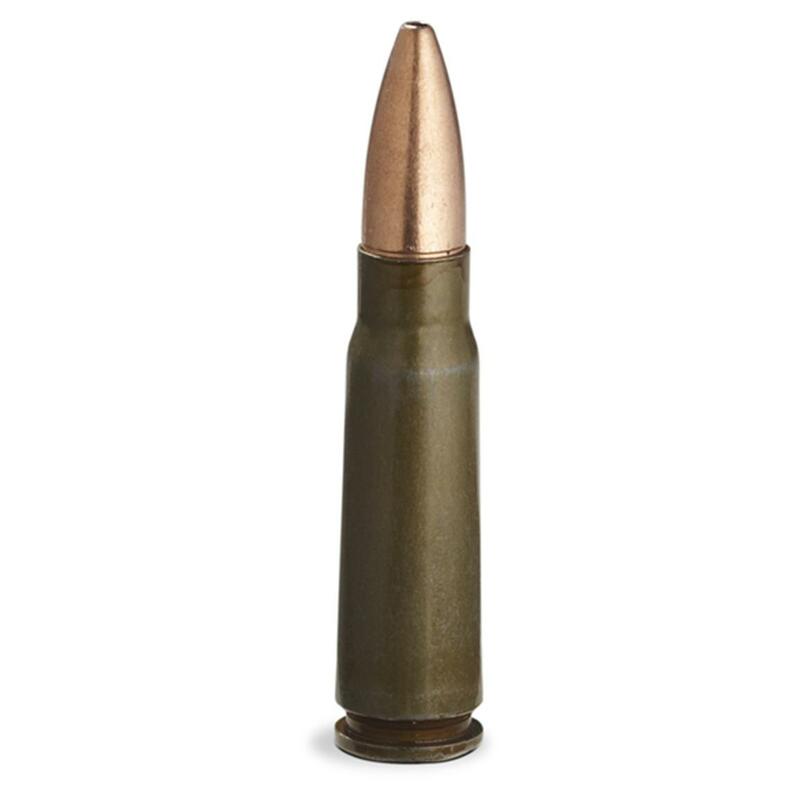 These 123 Grain, bi-metal hollow point Bullets are Berdan-primed, non-reloadable, non-corrosive and come in a lacquered steel case. Muzzle Velocity: 2,396 FPS. Muzzle Energy: 1,568 ft. lbs. 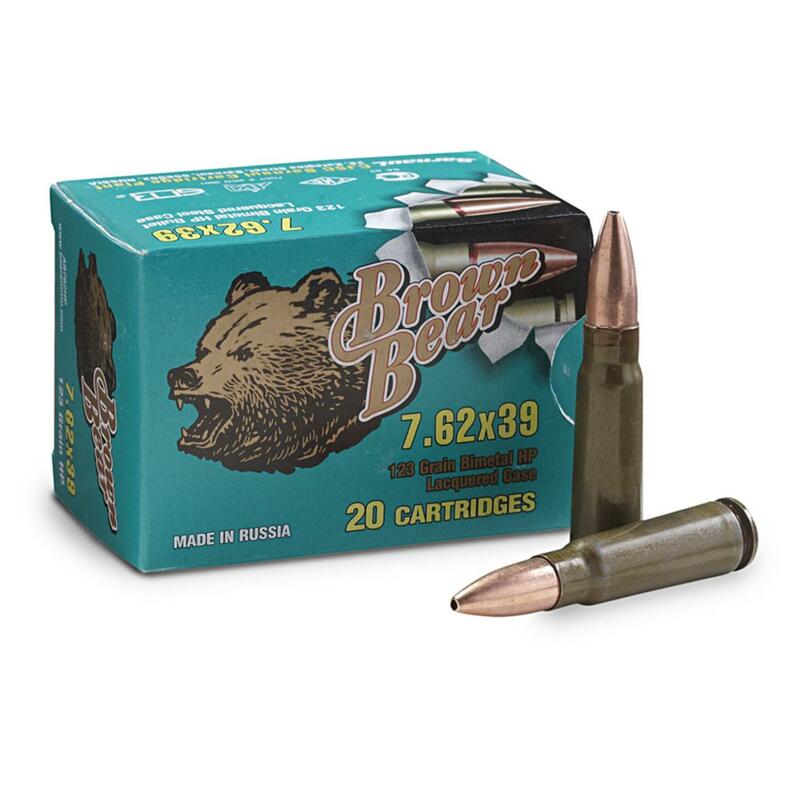 Brown Bear, 7.62x39mm, HP, 123 Grain, 260 Rounds is rated 4.5 out of 5 by 4. Rated 5 out of 5 by HENRY from Great Price and Brown Bear has always been good ammo at any price. The hollow points knock hogs and deer off their feet instantly and they don't run from there so, let them walk as close to the truck as possible before shooting, LOL!!!! Rated 5 out of 5 by RALPH from I have ordered these before and have had no problems with them in my Ruger Mini-30 or my AK-47 they are a good price and work well.. Rated 4 out of 5 by CUFFY / BRENNA from Good ammo for what it is, it gives me fist sized (3.5"-4") groups at 50 yards in my SKS, more than suitable for practice/plinking. It puts off a very odd smell when shooting, somewhat like scorched rubber/tar, never experienced that with any ammo before. Rated 4 out of 5 by BRYAN from Have not shot the ammo yet but it was received in good condition.